Las Vegas NASCAR weekend unveils Elvis Presley and Dale Earnhardt Sr. race car. The Las Vegas Motor Speedway will showcase this Viva Las Vegas legendary pairing this weekend. The race car at NASCAR weekend will have an image of Earnhardt’s No. 3 on th sides with Elvis’ picture on the hood and be on display for fans to admire. Earnhardt Sr. helped bring Las Vegas, Nevada to the NASCAR circuit 13 years ago. Race fans can start the excitement starting this Wednesday with the preliminaries and finish with the Spring Cup Series race on Sunday. Plenty of action will be available away from the Las Vegas Motor Speedway for NASCAR events. 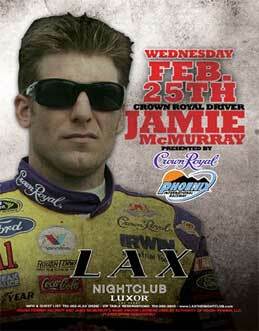 Jamie McMurray will start the events on Wednesday, February 25, will start the party as guest host at the LAX night club inside the Luxor Las Vegas. Starting Thursday at 10 a.m., all of the NASCAR team haulers will drive down the famous Las Vegas Strip in addition to several appearances around the city. Want an autograph of Kasey Kahne? Make your way to the Stratosphere hotel from 4 to 6 p.m. and the first 500 fans will be able to receive Kahne’s autograph. Limited wristbands will be available on Wed and Thurs starting at noon. Las Vegas local NASCAR race car driver, Kurt Busch, will be one of five drivers at Pole Position Raceway, indoor racing track, from 6 to 8 p.m. on Thursday. Pole Position is located at 4175 S. Arville St., Las Vegas, Nevada.Have a chance to feel like your driving a real live race car this Friday with a simulator inside Sierra Gold Tavern starting at 6:30 p.m. Sierra Gold is located at 6515 S. Jones Blvd. The “Earnhardt & Elvis” NASCAR race car will be for show only. After the initial unveiling in Las Vegas, it will travel to Memphis, Tenn to make its home at Elvis Presley’s mansion at Graceland. 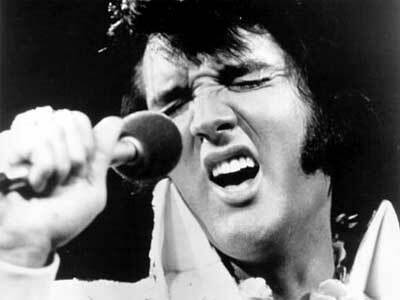 NASCAR Las Vegas weekend unveils Elvis Presley and Dale Earnhardt Sr. race car.